Film composer John Barry has died, aged 77, following a heart attack. 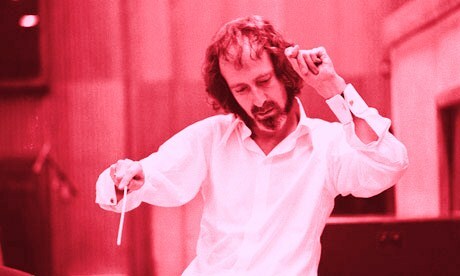 John Barry was one of the most successful of all film composers; he won five Oscars for scores that included Born Free, Out of Africa and Dances With Wolves, but wrote his best-known and most enduring music for the James Bond films. Sad news. I always had a lot of time for his film and TV music, and not just the James Bond stuff. He was a really good tunesmith (and I don’t mean that at all disparagingly). A couple of the Bond songs (From Russia with Love and Diamonds are Forever … ooh and Goldfinger) are brilliantly written and unforgettable, but all his music had character, exactly the right flavour for their context and musical imagination. This entry was posted on January 31, 2011 at 10:34 pm and is filed under Music, Obituaries with tags born free, brown bread, composers, dances with wolves, diamonds are forever, films, from russia with love, james bond, john barry, movies, oscars, out of africa, the persuaders, youtube. You can follow any responses to this entry through the RSS 2.0 feed. You can leave a response, or trackback from your own site.